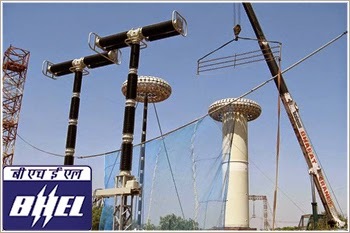 State-owned power equipment-maker Bharat Heavy Electricals Limited (BHEL) on 13 April 2015 commissioned a 600 MW thermal unit at Dhabra in Janjgir Champa District of Chhattisgarh for the Dainik Bhaskar Power Limited. “This is the second unit of this power project, commissioned by BHEL. The first 600 MW unit was commissioned in 2014. BHEL’s scope of work in the contract envisaged design, engineering, manufacture, supply, erection and commissioning of steam turbines, generators and boilers, along with associated auxiliaries and electricals, besides controls and instrumentation and electrostatic precipitators,” the company said in a statement. As per the Maharatna company, with a cumulative installed capacity of 11,400 MW, its share of the total installed capacity in the state stands at 68 percent. “The company has so far contracted sets of 600 MW sets, out of which 12 have already been commissioned. A large number of similar sets ensure easy availability of spares and operator’s familiarity,” the company said.